LenMus (Phonascus) is a program for learning music, allowing you to focus on specific skills and exercises covering both theory and aural training. The different activities can be customized to meet your needs, and the program provides interactive feedback until mastery of each concept is achieved. It also includes an score editor. X-LenMus is the portable version in win-PenPack format. How to extract: Download the ZIP package and extract to a folder of your choice. Launch X-LenMus.exe. "It is with my deepest regret that I have to announce the closure of the LenMus project.After a decade-long run, LenMus is no longer being developed. 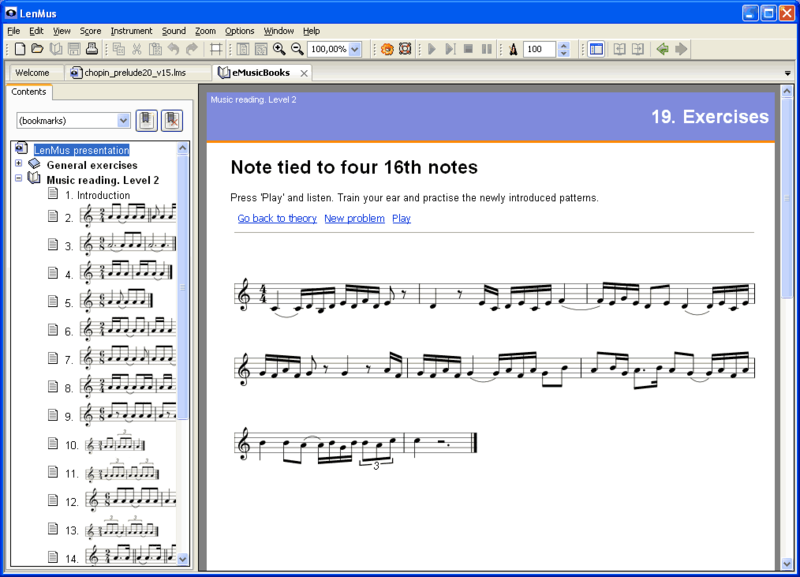 I began LenMus because I was studying music theory and needed interactive exercises for practicing. 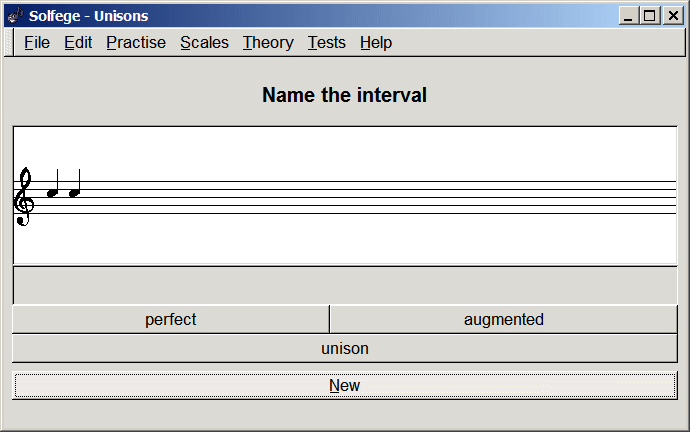 At that time (2002) there were no much free software for musicians and music students and I programmed some exercises, especially for ear training. I was soon attracted by the computational problems derived from the complexity of this domain. But world changes very fast and I alone can not do all and move as fast as this requires. I always failed in attracting more developers to the project and the result is that LenMus is increasingly lagging behind the increasing complexity of the project and the fast pace of changes on computers (notebooks, mobile phones), the web (HTML5 interactive applications), and the available teaching materials on the web (videos, free web schools). As I can not do it all alone, all development was stopped five months ago. Probably I will not to resume development again." 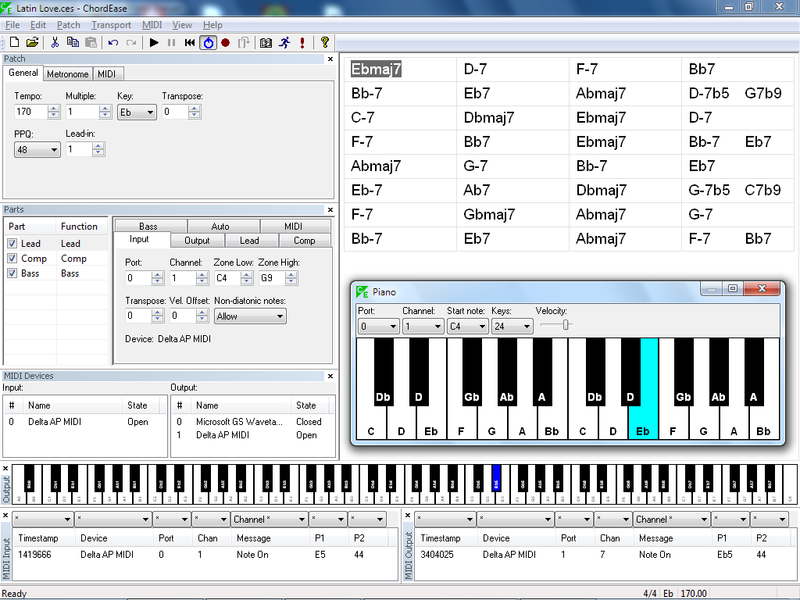 Solfege is computer-aided music training system, which you can use to train your rhythm, interval, scale and chord skills. The program is indented to help music students with their ear training. 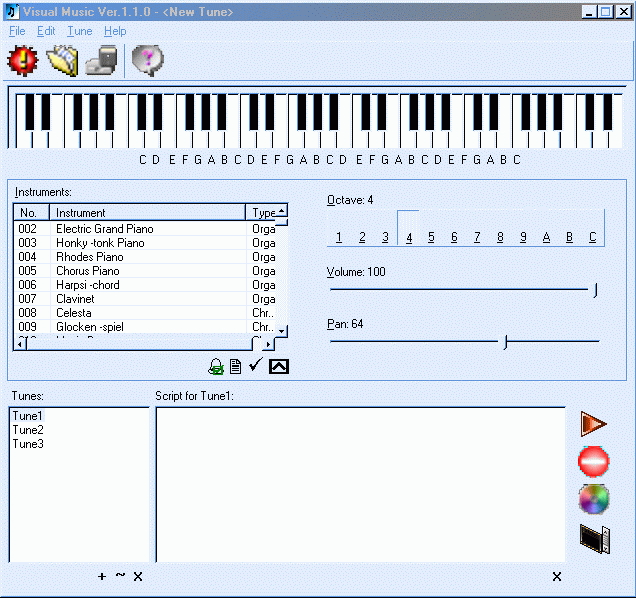 X-Solfege is a portable package/wrapper for Solfege. How to extract: Download the ZIP package and extract to a folder of your choice. Launch X-Solfege.exe. Updated Esperanto, Portugese and Turkish translations to the users manual. Updated Spannish and Turkish messages. gettext tweaks to make the test suite work both when run as "test.py" and "test.py test_lessonfile". There is still something wrong because we have to disable the test to run debuild. The linked site is an italian site of a proget of completely portable software called Winpenpack. Has anyone got it working? I take edit, preferences, Midi setup. I have no such midi file players as listed. Windows multimedia output doesn't work. Ecellent! I wish i had known about it when I was still at school!Really great!